Emily proved herself in her early days at Xurli and has risen quickly through the Xurli ranks, now managing the Billing Department. She works to make sure subscriptions are running smoothly, billing questions are answered, and all customer issues are resolved in a quick and professional manner. 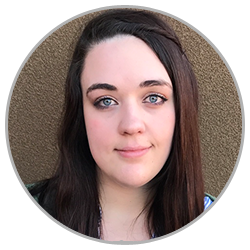 Emily leads with a very hands-on approach to the daily billing operations and has developed proven strategies in the management of billing, contracting, and accounts receivable. Her initial introduction to Xurli began in Xurli’s customer care and fulfillment department where she ultimately began managing accounts. Emily’s expertise allows her to provide a wide range of exceptional support to our clients. When she isn’t working Emily enjoys music, movies, and hiking in Utah’s national and state Parks.